1. Spend a day for a city tour and visit Saigon’s iconic buildings. Reunification Palace, the Norte-Dame Cathedral, and Central Post Office are the most popular tourism places that should not be missed. Saigon has many pagodas and temples that worth your time. 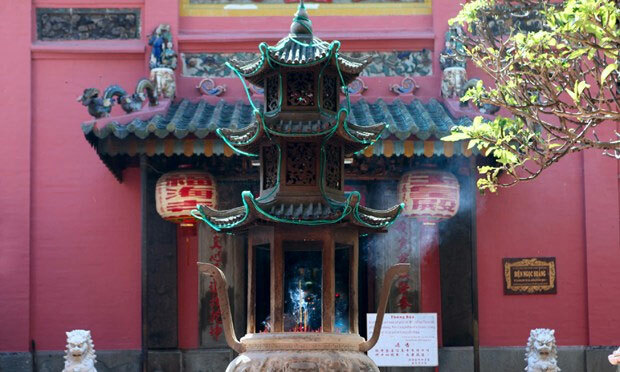 If you only have time to see one Vietnamese pagoda, make it the Jade Emperor Pagoda. Established in the 1900s by Taoists and Buddhists, this pagoda is simultaneously spiritual and awe-inspiring in scale and ambition. Ornate carved panels and intricate deities line the interior, flanked by lotus flower and fruit offerings and cloaked in a cloud of incense smoke. Head upstairs, and out onto the equally embellished roof terrace, where you'll find a statue of Quan Am (the goddess of mercy) which overlooks a sacred bodhi tree in the courtyard. 2. 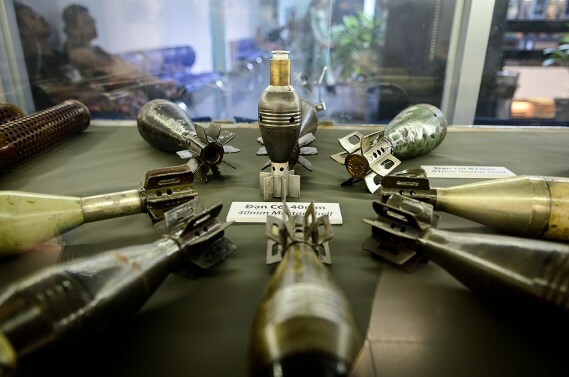 Visit Ho Chi Minh City Museum and War Remnants Museum to learn about the Vietnam War. At the City Museum, there are many informative exhibitions, artifacts, and photographs explaining the country's bloody past. The War Remnants Museum is a more grisly – but equally essential – reminder of local atrocities. From eerie bomb remnants and first-person accounts by war veterans to a bloodied guillotine and photographs of horrific napalm burns, this is a chilling reminder of life not-too-long ago. 3. Haggle for bargains and lose yourself in local markets for local food, fresh fruits, handicrafts, textiles, and more. 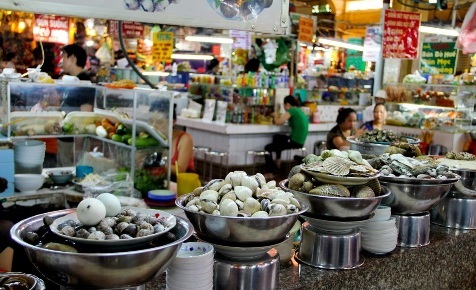 The biggest markets in Saigon are Ben Thanh and Cho Lon. Cho Ben Thanh, located in District 1 across from the bus station, is probably the best known. It is especially popular in the evening and at night, when food vendors set up stalls and locals and tourists alike gather to eat and shop. The other, Cho Lon, is a huge Chinese market. You will not see as many tourists here, and the variety of goods is amazing. Both markets are a lot of fun, regardless of whether you're souvenir shopping or just browsing. 4. Try local food. You can see food stalls and vendors almost everywhere in Saigon. It is so easy and convenient to buy banh mi, grilled pork rice/ vermicelli, fresh fruit juice.... It’s cheap and you just have to point to what you want. Pho and coffee are must-try food for you. 5. 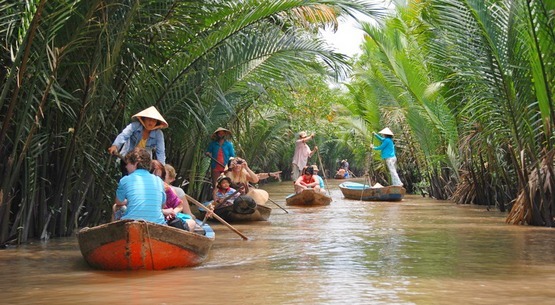 Take a cruise trip to Mekong Delta to experience the exciting daily life of local people. Sailing along the river, you can witness farmers planting rice in their paddies and enjoy the lush green scenery. You should visit floating markets to see the busy life there. 6. Discover Saigon on the back of a motorbike as it’s a great way to see the city and feel like a local. Vespa Tour is a popular choice for those who want to enjoy the unique vibe of Saigon on a motorbike. 7. 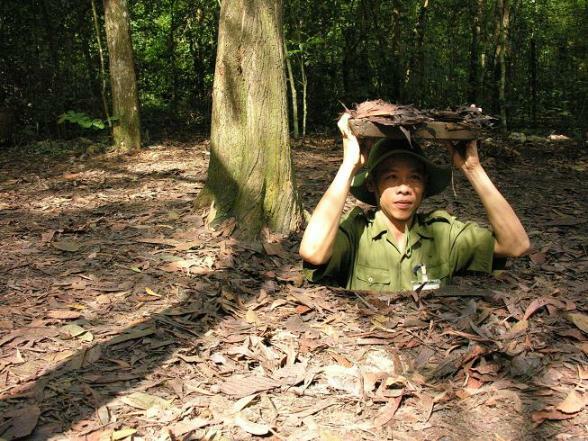 Crawl through the Cu Chi tunnels to get a sense of how the Vietnamese soldiers used to hide out during the war. The network, parts of which were several storey’s deep, included countless trapdoors, constructed living areas, storage facilities, weapon factories, field hospitals, command centers and kitchens. It’s a little bit of adventurous but really interesting. 8. 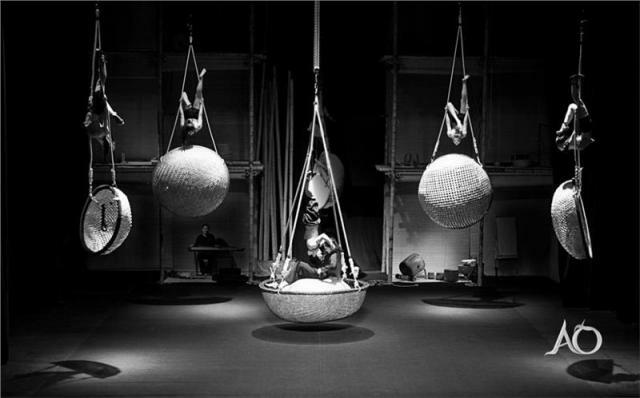 Watch A O show, a refreshing new show playing at Saigon's historic Opera House. It fuses dance, circus and musical forms in a vibrant and light-hearted series of sketches that track Vietnam's transition from rural life to urbanization. Karaoke is a widely popular entertainment activity where you simply sing along to your favorite tunes. The fact is that almost every block of the city has its own karaoke place. The karaoke bars usually have their own list of tracks, whether it is American rock and roll, classic and contemporary music and beautiful Vietnamese songs. You can rent a room or a suite and enjoy the karaoke with your friends. One of the most famous karaoke in town is the Nice Karaoke franchise, which you can find on Nguyễn Thị Minh Khai Street in District 1 or Võ Thị Sáu Street in District 3. Ho Chi Minh City is the perfect starting point for exploring southern Vietnam, as well as further afield around South-East Asia. The graciousness of the people living in the 'countryside' is quite refreshing after being stuck in the city for long stretches of time. Taking the express water taxi and checking out all of Vung Tau is an unmissable day trip. Can Tho, the Mekong Delta, Phu Quoc Island, Phan Thiet and Mui Ne are all nearby.